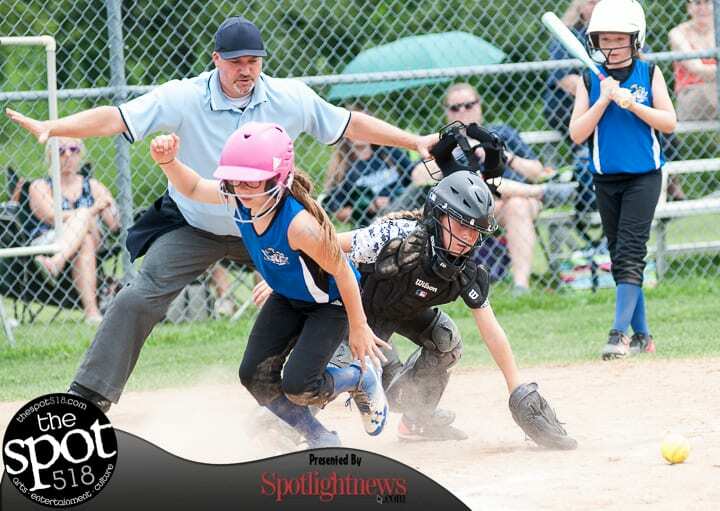 BETHLEHEM – The Latham Blue Angels U10 fast pitch softball team are playing in a Tomboys tournament this weekend. The photos below are from the Saturday, July 22, game between the Blue Angels and the NC CHAOS. Other teams playing in the three-day tournament are the host Bethlehem Blaze, The Franklin County Crush, the Mid Hudson Rebels, the Miss Scotties Pride and the Rotterdam Rockets.